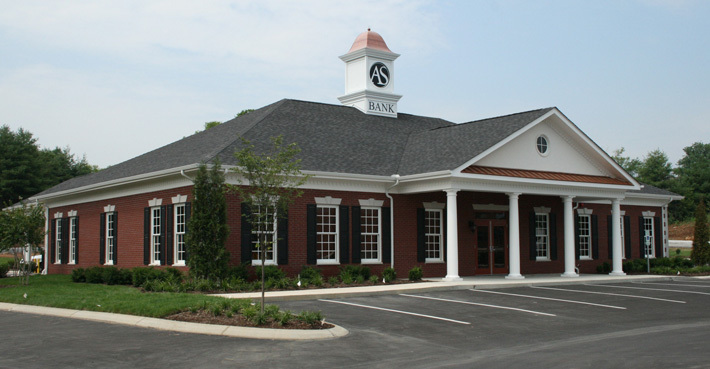 The Gallatin Branch of the American Security Bank & Trust is the second facility for the growing financial institution. The new branch will serve the Gallatin, Tennessee area, a small city outside of Nashville, Tennessee. The exterior design was intended to resemble the headquarters building in Hendersonville, while also fitting into the Greensboro Development that it resides in. Cast stone elements were incorporated into the exterior facade, as well as the monumental sign. Construction is scheduled to begin in early 2007.